Our free-standing calf pen system is designed for durable indoor use. 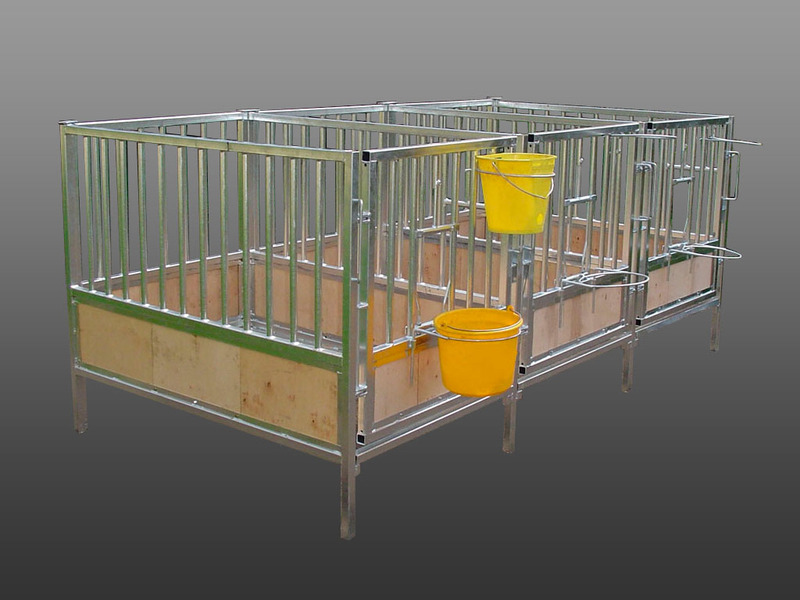 It is composed of a hot-dip galvanized steel structure and moisture-proof plywood, thus ensuring long life endurance. 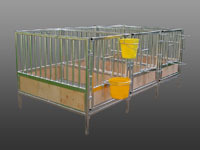 It has a variety of connectors, which allow for easy installation of any combination of panels in virtually unlimited configurations. 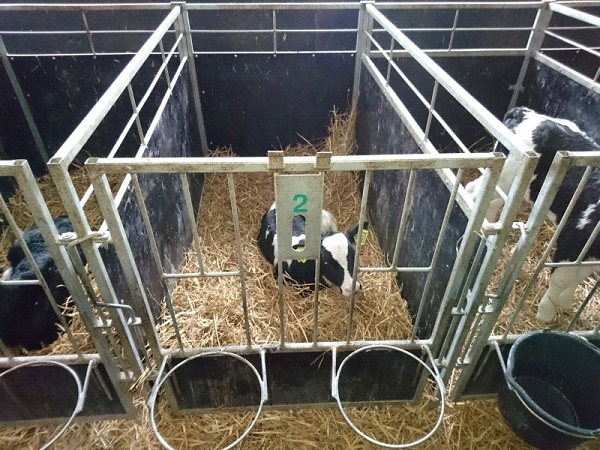 Other features include height adjustable pail and bottle feeder holders and a swing door for easy access. 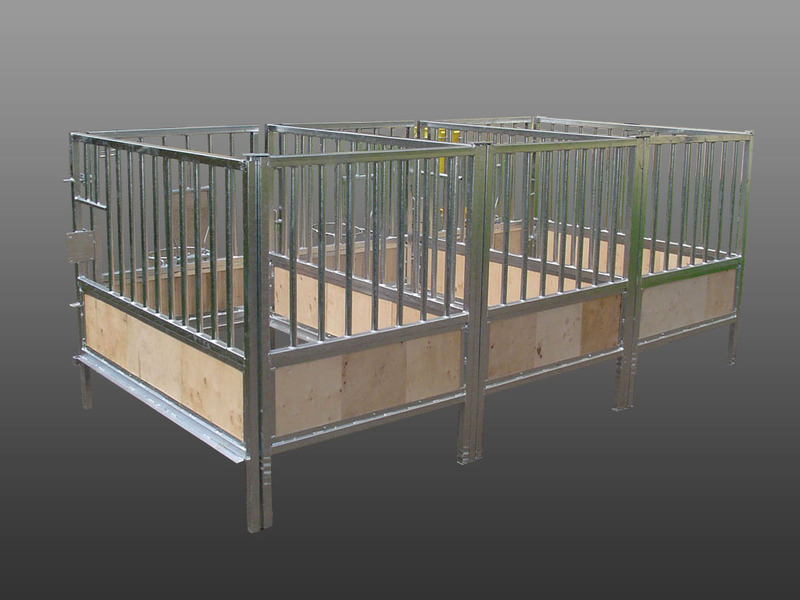 Our calf pen system meets the Animal Protection Act and Welfare Standards. 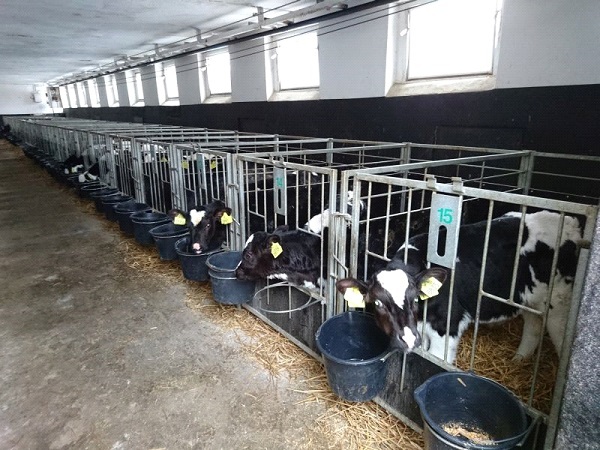 It is designed to improve the animals' hygienic and living conditions and helps to keep disease-susceptible young calves healthy. 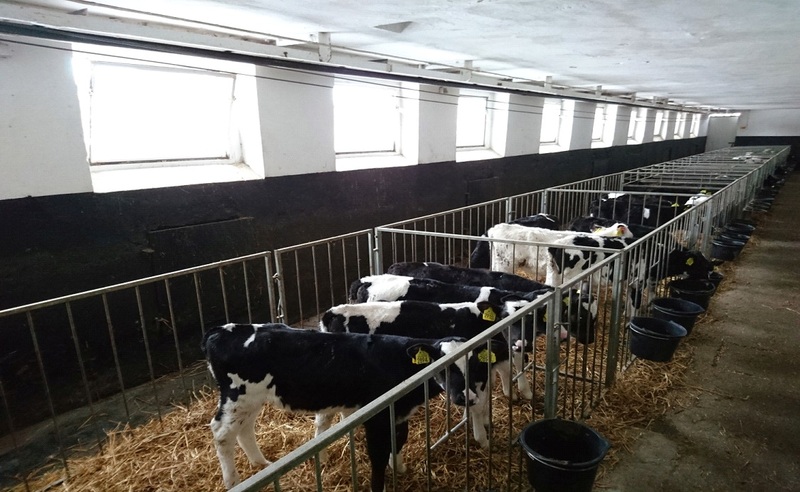 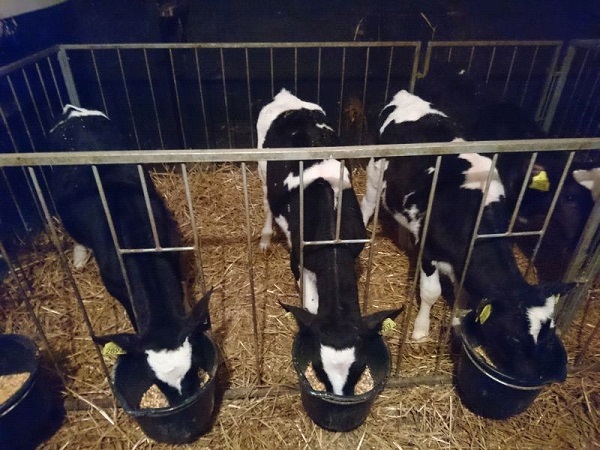 The calf pens can be standard with dimensions of 1 x 1,5 x 1,3 m, or made to your specifications.